I have had the pleasure of working with two clients recently who adore letterpress stationery – the ultimate luxury! 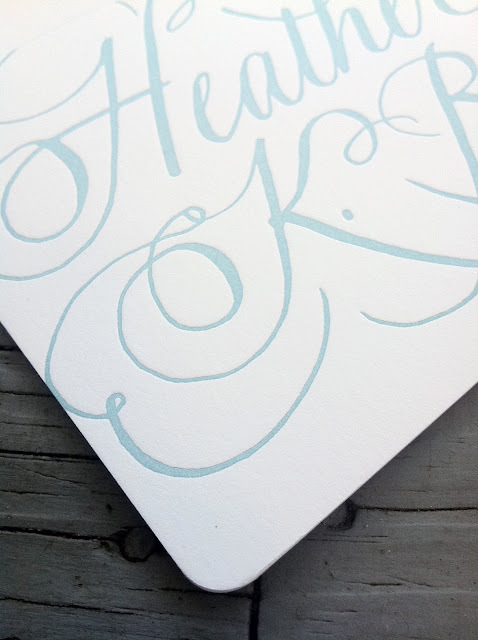 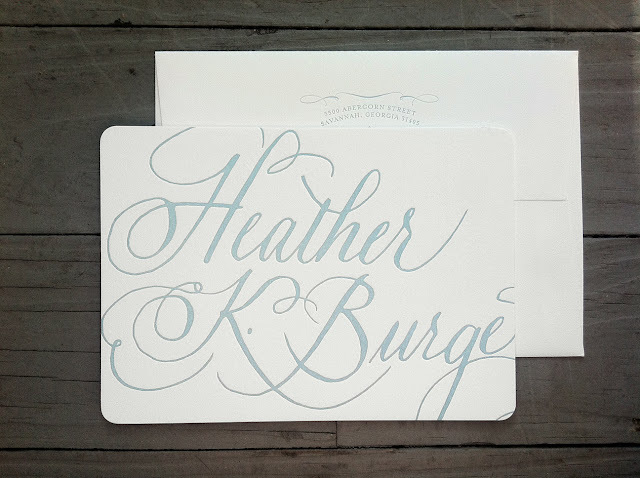 For Heather, I commissioned local calligrapher, Bride Whelan, to hand letter her name in a beautiful script in Heather’s signature blue color. 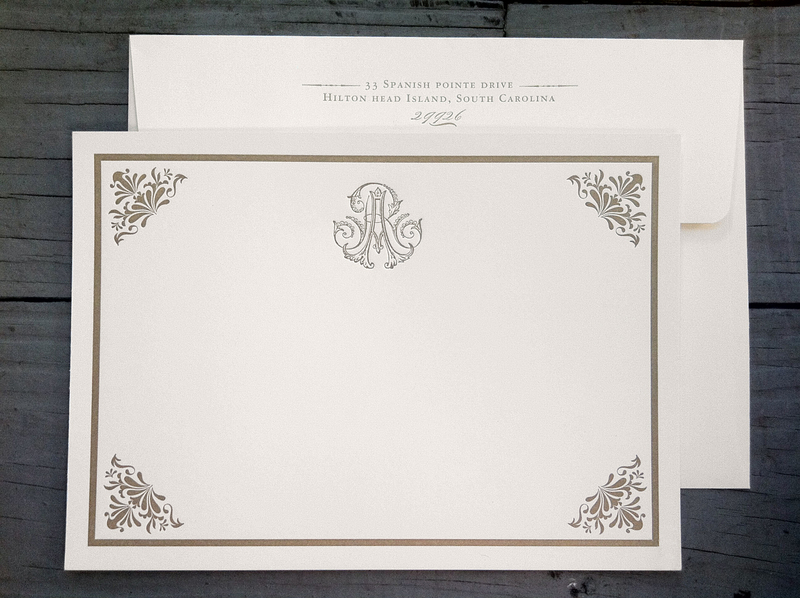 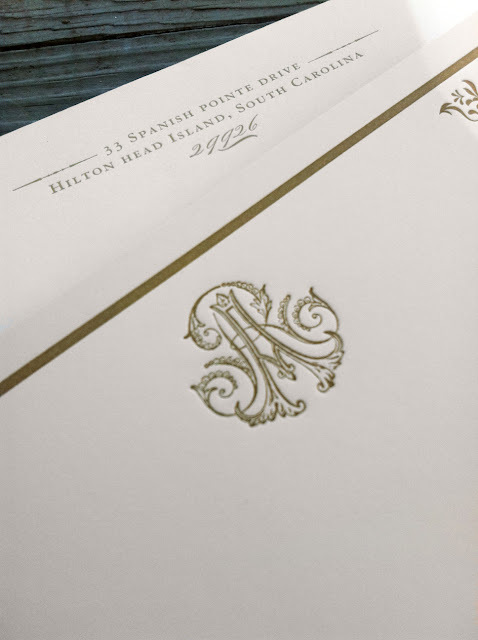 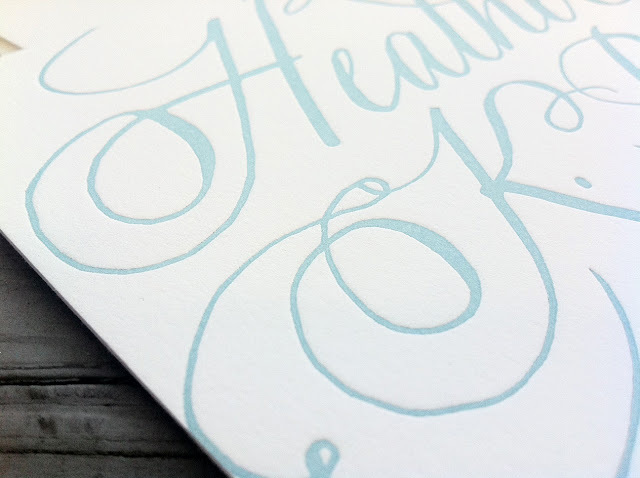 Heather’s stationery was printed on 220lb Crane Lettra – super textured and thick. Both are beautiful in person and I know they are excited about putting them to use! For Andrea, we letterpressed her custom wedding monogram in metallic gold on ecru 160lb cardstock.